So how did you get started in the fountain pen retail world? Well, that’s a bit of a tale, it’s true! When I was still at school I saw a well-known fountain pen shown-off in an episode of an American sit-com and liked the look of it, so I was given one for doing well in my exams, but it really wasn’t all that it was cracked up to be. So I and my family did some research on-line and found that another German fountain pen brand, Pelikan, came far more highly recommended by the experts. But it was so hard to get hold of Pelikans in those days that when we got in touch with the company and suggested we become their UK retailer, they were up for it – we’ve owned the pelikanpens.co.uk URL ever since. This was before ready-to-roll retail sites were available, so we were using email and cheques at first, but we soon evolved. What really grabs you about Pelikans? Well the Pelikan quality control is much better than average, for a start, and the adaptability of the screw-in nib units is great. 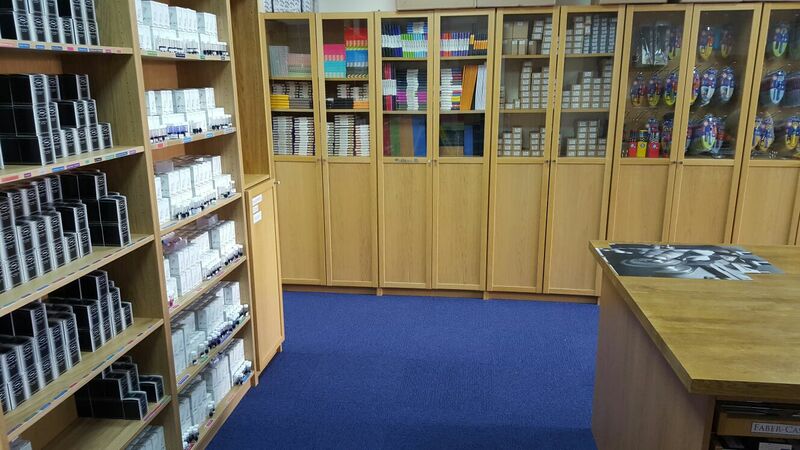 We offer nib exchanges on all the higher-spec Pelikan fountain pens we sell and, because we can keep all the spare nibs in stock, customers do make use of the option too. It’s one of the things which makes the brand so popular; using our advice writers can be sure of getting a fountain pen which they can really live with. 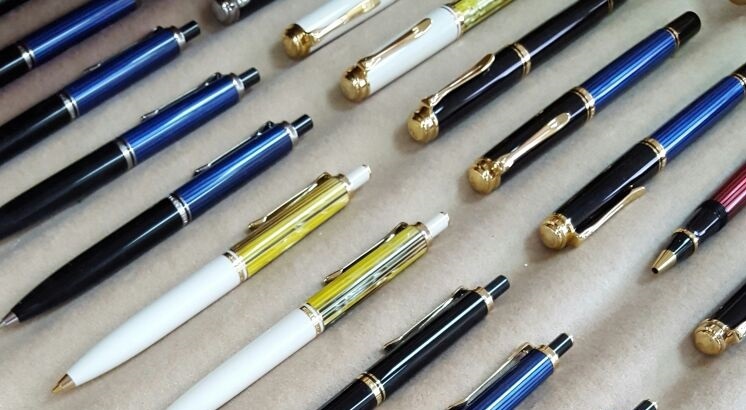 The other really nice thing is that Pelikan do listen to the customer feedback we’re able to take to them; for instance, so many people wanted a silver version of their Toledo special edition that they starting making them! What led you to start grinding your own Pelikan italic nibs? People asked for them. Pelikan didn’t want to start providing them directly, so we started experimenting with grinding them ourselves. 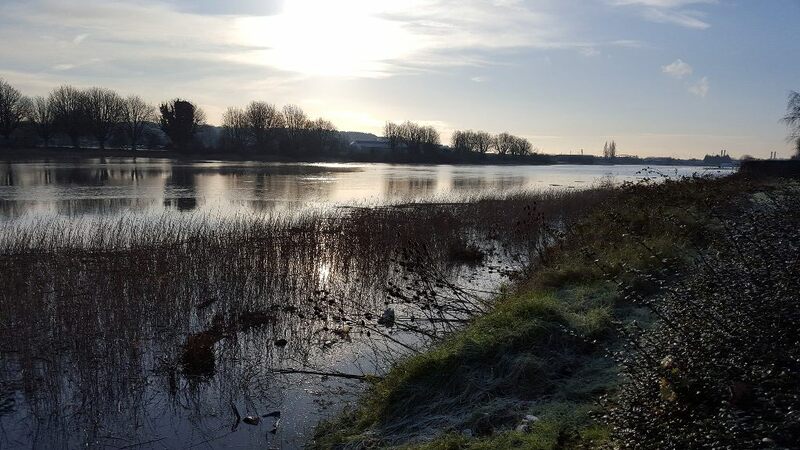 My father was a toolmaker and metal-turner, which helped a lot, and we learnt by trial and error at first – although we took a bit of time to get really fluent at it with steel nibs before letting loose on the gold! Our customers seem to love them. 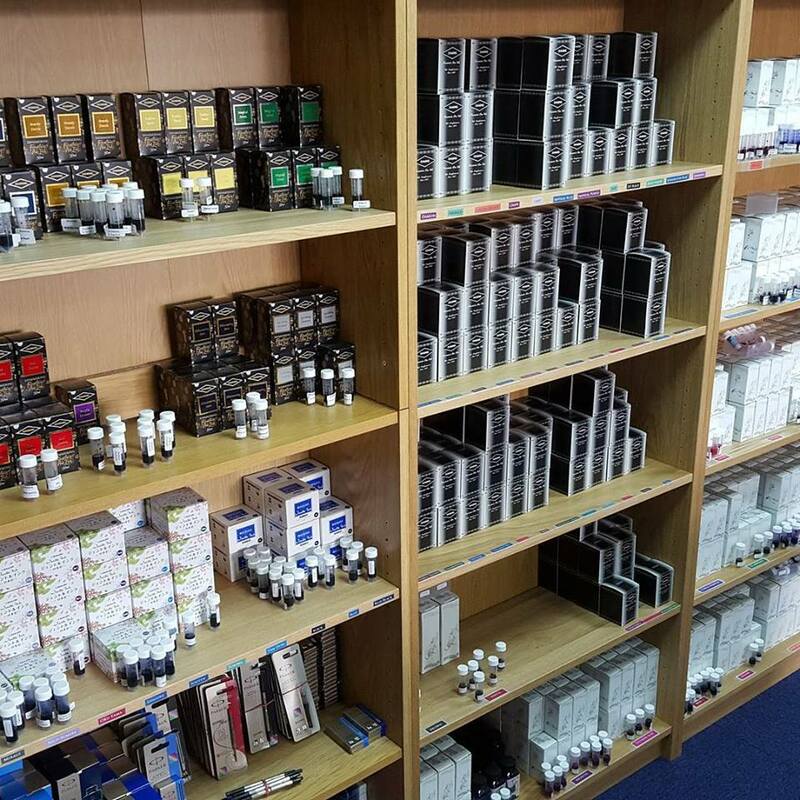 Having started out with Pelikan, what got you into being the main UK distributor for Noodler’s? Again it was initially in response to customer requests; people kept asking us if we could get hold of the ink, so we put put out some feelers and Nathan [Tardiff] responded personally. As he’s a one-man-band, what we can get our hands on varies quite a bit – but it all seems to sell like hot cakes! That even goes for the controversial Bay State Blue – maybe because it’s controversial; who knows? We’ve visited Nathan and seen his workshop in action, which is fascinating. This seems to work so well because we’re enthusiasts buying from enthusiasts (like Nathan) and selling to enthusiasts – and that goes for the Noodler’s pens too, which sell well as a good way into trying flex nibs for many first-timers. I prefer the ‘Nib Creaper’ as it’s a piston-filler. Desirable Pelikan fountain pens, cunningly guarded by untouchable ballpoints. What are the other ‘brand successes’ for you? Diamine has a really great British brand story and is always popular. We enjoyed visiting the factory in Merseyside, and timed it just right to see the Shimmertastic range in development – and it has to be said those inks have been flying off the shelves ever since. There we had to leave it, as Ross needed to escape to the slopes – but we’ll be reviewing some of the more intriguing products that Pure Pens stock over the next few weeks! Now that’s quite an ink stash!